The Trumpian world order means a less stable Middle East. America's president got on so well last month with King Salman of Saudi Arabia that he has embraced the monarch's foreign-policy goals. Sunni Saudi Arabia detests Shia Iran, its chief regional rival. He also appears to share the Saudi view that the most egregious bank roller of terrorism in the Middle East is the tiny sheikhdom of Qatar. 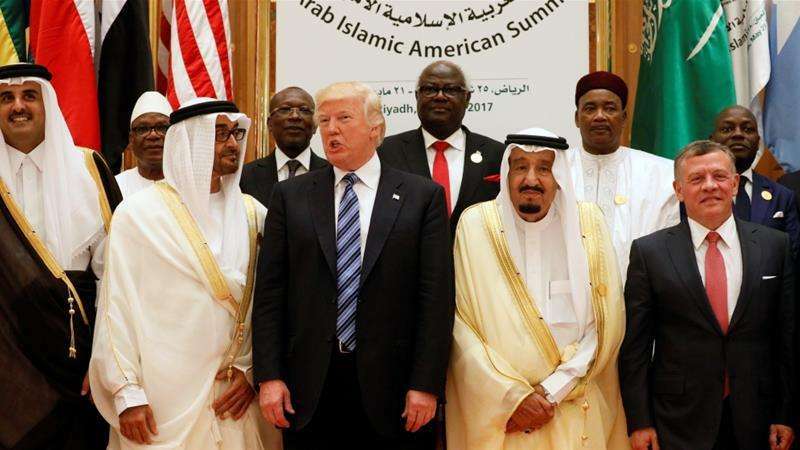 He applauded when, on June 5th, Saudi Arabia, Bahrain and the United Arab Emirates severed diplomatic ties with Qatar, as well as land, sea and air links. The Gulf states gave Qatari citizens 14 days to leave. Ludicrously, the UAE declared that anyone publishing expressions of support for Qatar can be jailed for up to 15 years. It is the world's largest producer of liquefied natural gas and an airline hub. It is also host to Al Jazeera, the nearest the Middle East has to an uncensored broadcaster (so long as it does not criticise the Qatari monarchy). It has good ties with Iran, with which it exploits a vast gasfield. It is supportive, too, of the (Sunni) Muslim Brotherhood, the most popular face of political Islam. All this makes Saudi Arabia hate it. The Saudi regime has tried in the past to bend Qatar to its will, but failed. Qatar hosts a large American airbase, which until now has made it feel safe. But with Mr Trump in the White House, nobody is now so sure. No concrete reasons have been given for the blacklisting of Qatar. There is lots of chatter that wealthy Qataris fund terrorism. This accusation, which is also leveled at rich Saudis, is unproven, though the Financial Times reports that Qatar paid $1bn to Iran and an al-Qaeda affiliate for the release of Qatari royals who were taken hostage while on a falcon-hunting trip to Iraq. 例句:The Middle East is the world's single most important source of oil. 例句:Moral as well as financial support was what the West should provide. 例句:Today, oil and natural gas have replaced coal and wood in most areas. 例句:The president need not step down so long as the elections are held under international supervision.